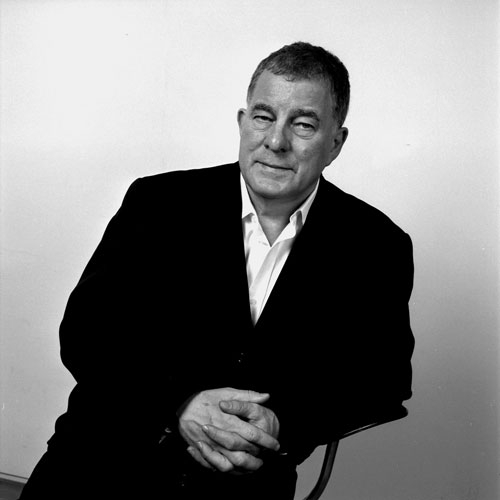 Hugo Oliveira: Jonathan Sergison said that besides being a great architectural intellect you also have had a very interesting personal life that included being a performer, which had influenced your architecture. How was that environment reflected in your work? 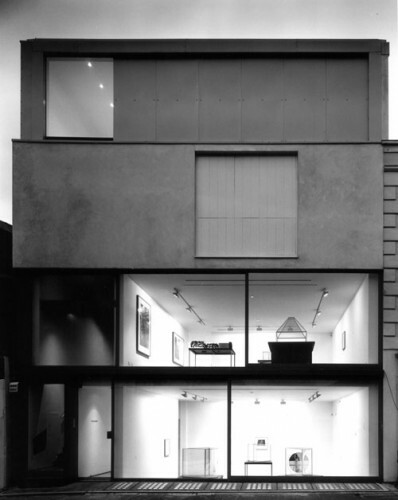 The first architectural project where I used these ideas was the Lisson Gallery, of 1986, which was the conversion and extension of a small 19th century shop with living accommodation above it. This type of anonymous building had become a vernacular through being worked and reworked by builders, a process through which it also acquired social knowledge and meaning. As a building it was very minimal; as a cultural artifact it was very rich. We worked with the building and extended it enormously, making gallery spaces at the back that were much bigger than what we would expect from the small façade, and which followed the shape of the site, the irregularities of which were characteristic of the neighborhood. 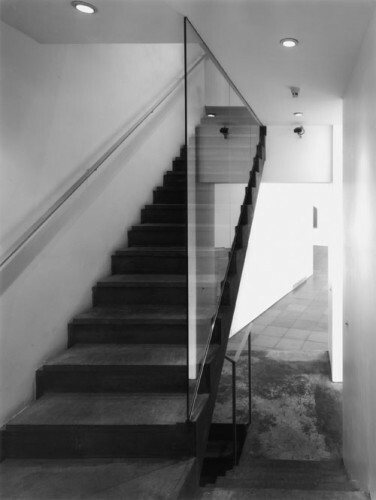 By styling the interior spaces in the international language of white minimalism we made them recognizable as art spaces, but also abstract versions of places in the neighborhood through which you walk to reach the gallery in its peripheral location in a banal area. 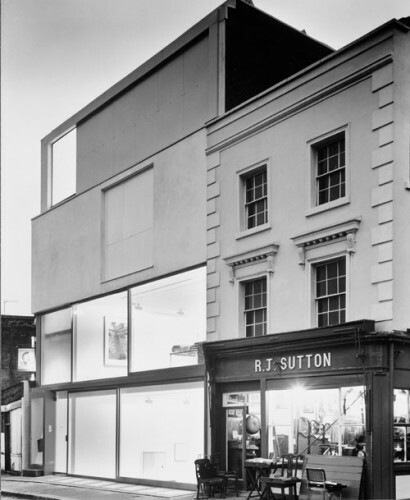 These ideas came together with more force in the second Lisson Gallery of 1992 where the large north-facing windows place art in the surrounding neighborhood that is very typical of certain parts of London that are made very pragmatically and with a lack of urban design. But in framing the views of the city we were judgmental, we just showed them as a cultural artifact that is naturally ambiguous and rich with multiple meanings. In retrospect I think I had a feeling of social responsibility in designing the Lisson, something that I know Nicholas Logsdail, the gallery’s director, shares. And although global capitalism has made individualism and self-satisfaction into primary motives and some architecture and architectural theory have allowed themselves to become commodities, I find that most architects still have a feeling of social responsibility. Frank Gehry’s Disney concert hall, I am told by my architect friend in Los Angeles, Michael Maltzan, allows Angelinos, who are highly individualistic, to experience themselves as a public. It is said that it is difficult to think of an architect who enjoys more the fact of the city of “the given” as you. Having said that, what’s your opinion about these big projects – namely in China – where a bunch of architects are invited, with almost no budgetary limits or any type of major conditions, where basically “the given” that Mark Cousins referred doesn’t exist? There’s no architecture without constraints. And I think that the situation in China (I’ve never built in China) seems absolutely full of constraints, except that the constraints are much more political and social. …You were a professor in Harvard. I was a professor for a semester at Harvard. But for a much longer period I’ve been a professor at the Technical University of Delft, which I like very much. And from this September I’ll be a professor at ETH, Zurich for a year, on sabbatical from Delft. Do you agree with Alejandro Aravena when he says that there is a “H-Bomb” effect in teaching? Meaning that being a teacher at Harvard has a big influence within the political system and when dealing with politicians. I think that the schools of architecture have a societal rather than a political effect, which is transmitted through the profession of architecture. I was at the AA in the late 1960s – a very politicized time – and there were effects, but very diffuse. Professions have a different role than politics and a longer duration. Do you think that architecture or the works of some practices are already adapting to the idea that we have to deliver faster very much because of how fast the world of politics is? My instincts tell me that this is just architects inflicting pain on themselves. We have to remember that politicians are short-termist and far more likely to make gross and destructive mistakes than architects. The professions have much subtler relations with politics. At the University of Delft when the government decides that it would be a good idea to make education cheaper or remodel it in the way that medicine is taught, my fellow teachers, like true professionals, patiently take the policy apart, cut out the bad parts and fix it back together again into a workable teaching program. Politicians, generally, know nothing about education, or about buildings or cities. The professions and working people actually make the world work. You mentioned the AA. 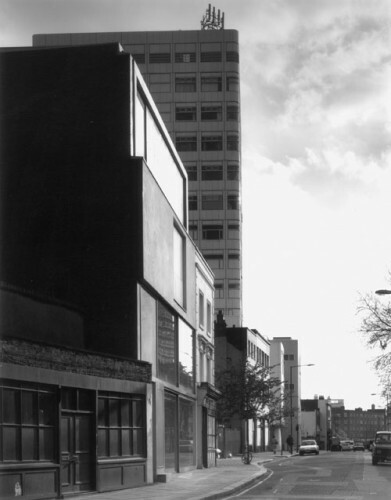 In a society with so much information exchange do you believe that there is an AA type of “school” (in the sense of a “Porto school” with Siza) in the London architectural context? Is there a common denominator in most of the architects that graduate from there? The AA is very particular, a unique sickness which never really gets cured. I studied and taught there and I’m glad it exists. It is a miracle that it exists in the British conditions. Alvin Boyarsky said: “If we didn’t have the AA, everywhere in England would be like Bournemouth!”. He was right. But also wrong. And I think what I have learned is that many things exist in the world which you operate as an architect, with which you don’t agree but which you must tolerate and recognize as different from yourself. Schools of architecture quite often develop a way of making architecture. I don’t think it’s bad if the way of making architecture is intelligent and good. Students eventually free themselves from that influence as they grow. I want to make a point about teachers. Although practicing architects are very necessary as teachers, professional educators – people who are trained as architects but then go into education and perhaps maintain only a small practice – play a major role. They are intensely valuable and often better teachers than busy professionals. I have a teacher like that in my Chair in Delft, Peter Luthi, who is one of the best teachers I know. He runs a course called Tools for Design. Because of Delft’s large scope students often do not get the most basic design training. Peter’s course is meticulous, and as many gifted students go to it as those who are still finding their way. He kindly invites me to teach there and I am particularly proud that we often can show a student who may be the first in their family to go to University, often from a working class or immigrant background, how they can trust their skills and use them fairly in the world. Do you frequently learn from your students? Directly no, but I learn from teaching. I have learnt to think very rapidly and see different points of view, which is valuable when you are in the office; it makes me receptive to different ideas. Students of architecture are young, they are learning architecture. My duty is to educate them. Occasionally I see work by a student that I like very much, and even more occasionally something that is brilliant. The last brilliant idea that I witnessed was, by the way, from a Portuguese student in Delft. Generally you like it because it’s made by your students. In order to teach you have to have sympathy for your students. For the success of your office it’s not very important to be a teacher. No, I disagree. Working in Holland as a professor has indirectly influenced our choices because it’s easier to get work in a country if you’re part of its fabric, if you’re there in a regular basis and have some command of the language. Do you agree with Emilio Tuñón when he says that teaching is “one of the tree-legs of this table” that is architecture, the other two being building and writing? Tree or three? If three it’s unstable, if tree quite heavy. Well, those are three (or maybe tree) very important components of architecture. The individual designer is only a tiny part of the way that a project comes into being, and also more importantly, a tiny part of the way that architecture is understood. It’s a highly collectivized affair, which many of us – in our more egotistical moments – simply don’t recognize. But I try to recognize the collective quality of architecture. It means that in our office we hope to make opportunities for other voices in the works than mine. And it is true that in the design there’s what you might call a shifting pattern of authorship and a suggestion can come from many different places. But it is true that it isn’t just about design. It’s about those other things.